Hello Everyone!! 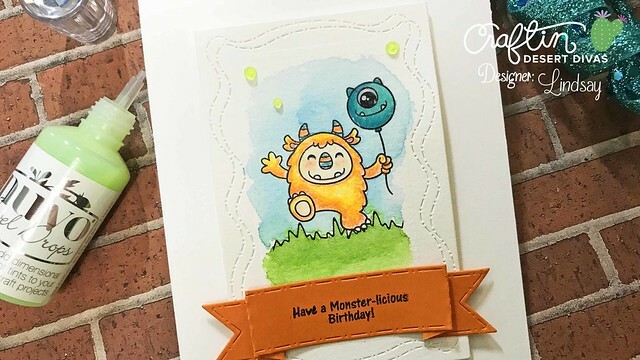 It's Lindsay from the DT here with you today to share quite a lot of about different ways to mask and also a few helpful tools along the way! If you would rather watch a video where I explain it all you can find that right below, or you can keep reading to find out more!! Masking paper is one of my favorite tools for masking scenes, for distress inking, etc and it is so easy to use! I like to use the masking paper sheets from Inkadinkado, but it also comes in rolls and larger sheets as well. The brand I use has a white side and blue side. To use this paper you simply stamp on the white side and then trim out the image with a pair of scissors or die. Then, you remove the blue backing paper to reveal a sticky side that can repositioned to mask your images. This paper can also be die cut as well. 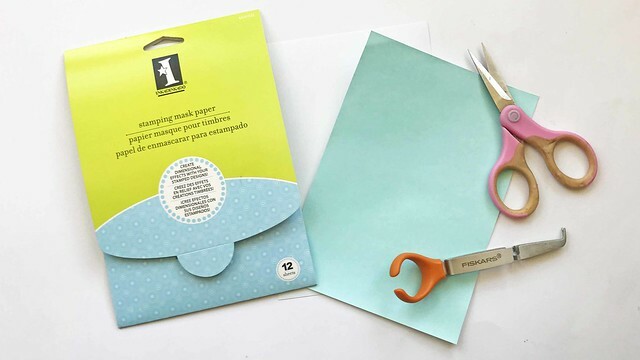 A few tools that are handy to use with this paper are of course scissors, but also a pair of tweezers for handling and placement. The less you touch the back, the more times you can restick it!! I also like to store the used masks on the back of stamp sets so they're easy to find and use again and again!! While I love to use masking paper for all of my dry mediums, it does not hold up well to watercolor and that is where masking fluids comes in so handy! 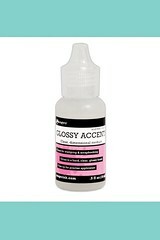 This is a liquid that you "paint" onto images to mask them from all of your liquids that you may be putting over the top - watercolors, sprays, splatters, etc. While I don't use this often, it is one of those tools that I can not replace with anything else. There are sometimes you just NEED this. I like to use a cheap small paint brush to brush/paint this onto the images I need to mask. It goes on white and when it dries is clear. When I am ready to remove this from my images, I like to use an adhesive eraser, pictured above. Your finger will work, but I have smeared a good amount of finished projects removing this mask that way, so I would highly recommend using the adhesive eraser and it's only a few dollars! Rubber cement is one of my favorite ways to mask digital stamps! While printing onto cardstock, I will print the exact images onto computer paper as well. 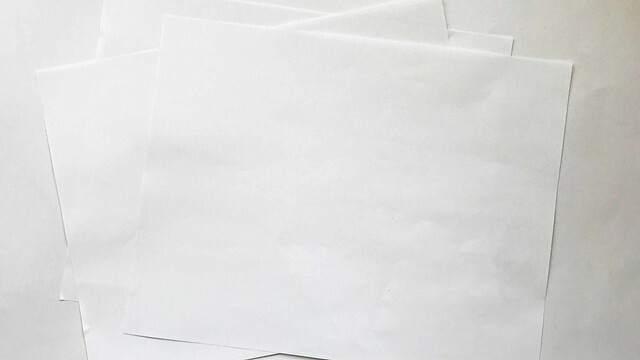 After trimming out the images, rubber cement on the back of the paper allows the image to adhere over the image that needs masked. 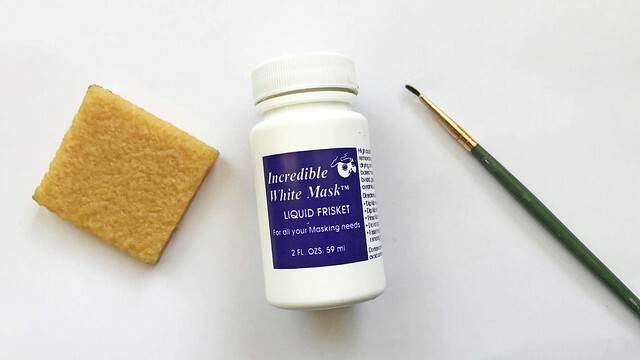 After I'm through and no longer need the mask, it easily removes and that same adhesive eraser (or your finger) will remove any leftover residue. This is also great to adhere die cut masks, especially if you don't want to waste your masking paper, which can get a little pricey! I do the exact same thing with die cuts. I die cut with computer paper, then use rubber cement to hold the mask in place! While my other forms of masking have been removable this one is not and I only use these in cases where I want a dimensional glossy finish on the masked object - i.e. balloons, little noses, food, etc. 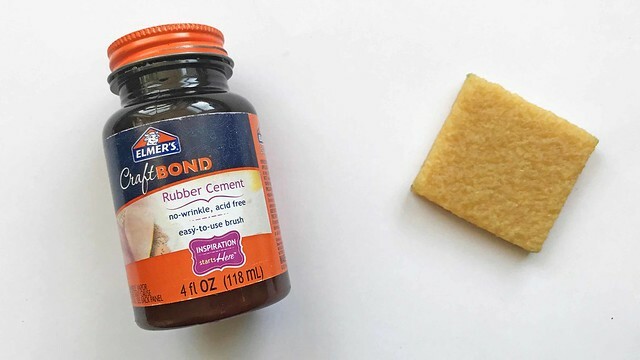 This is a great way to mask some objects, but it does take a little time to dry so it is something you have to plan accordingly for. 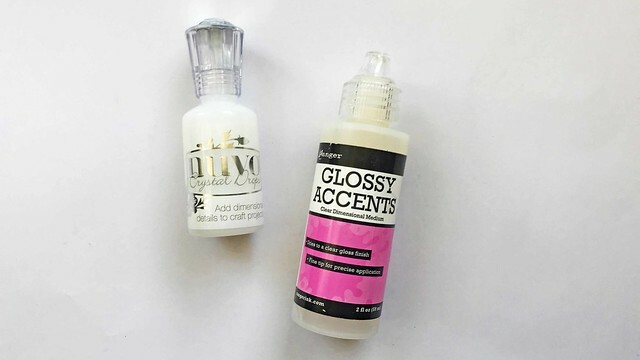 This also works not only with the clear Glossy Accents and Nuvo Drops, but also all of the great colored Nuvo Drops that are also in the CDD Shop!! So it is really versatile!! I simply apply a layer of the product I'm using over a select object and allow it to dry. This creates a nice smooth, hard surface that resists all of the "wet" mediums you try and put over it - distress inks, watercolor, etc. 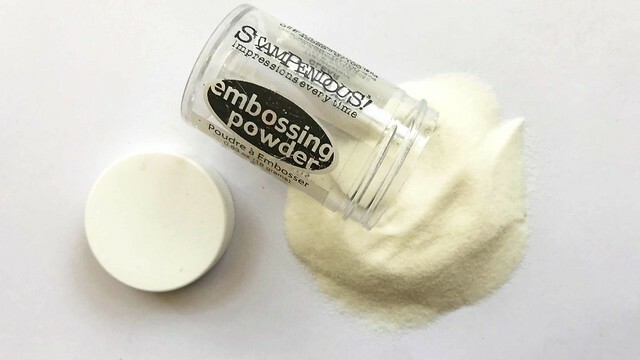 Embossing powder is another "non-removable" masking alternative. 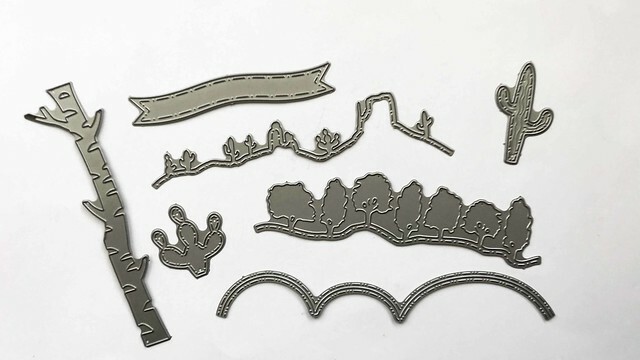 Of course when you do use embossing powder a few more tools are required. A sticky ink pad like Versamark and a heat tool are must have and an anti-static tool is also a great tool to use as well, but not required. Heat Embossing is a great way to mask sentiments as well as solid images for distress inks, watercolor, etc. Computer paper is a FANTASTIC tool to use in masking soo many different ways! Like I've said above, I often print digital stamps onto computer paper, fussy cut and then mask with rubber cement. Also, die cutting with computer paper and using that as a mask is a fantastic way to save your pricier masking paper! You can also hand cut computer paper and create your own masks or use the paper's straight lines for masks! This is a cheap and versatile to add to your masking arsenal with so many wonderful possibilities!! Dies are a so fun and I love using them to create scenes on my cards. But they are so much more versatile than just using them to cut card stock! Again, I like to use my dies to cut computer paper and create shaped masks. You can use Distress Inks to create some really amazing scenes, add clouds, create frames, shapes, etc. And if you do need something to hold them in place while you work over them, rubber cement is your solution!! When using dies, you do need a die cutting machine, and while that is an investment, it is one tool I use on just about EVERY card I make. Also my die cutting machine has been going strong for 9 years now!! Painter's Tape is a great tool to use in your masking. It will mask your watercolor as well any other medium you throw on top of it. Washi tape is a little less forgiving, but can be used to mask inks. 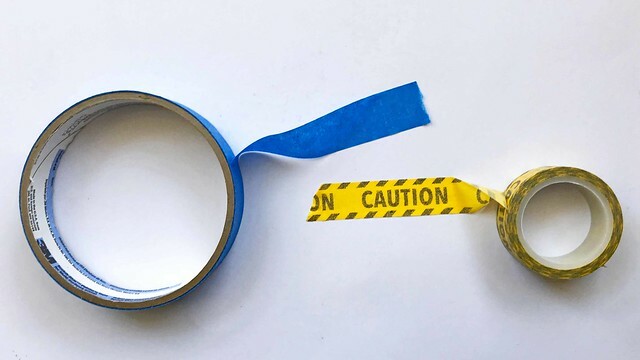 Painter's Tape is one of my favorite ways to mask borders, frames, and straight lines on scenes, not to mention all of the other amazing uses it has in your craft room!! It is also great to mask different patterns, shapes, lines to create different backgrounds or focal points on your cards! 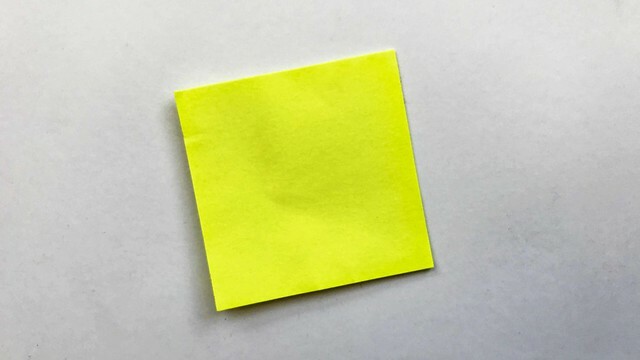 Post It notes are another great tool to use in your masking. They are inexpensive and very easy to find at any of your local stores. I like to use them as super quick masks, when I may only need a half or quarter of a stamped image or to use to mask different parts of die cuts to color them. You can also die cut them and use them as quick die cut masks as well! So now that I have went over the majority of my favorite ways to mask, I want to share with you how to use all of these on a card! Now I could not fit all of these methods onto one card, so I squeezed the majority into two cards. You can see exactly how I went about making them in the video above, but here are a few finished photos! 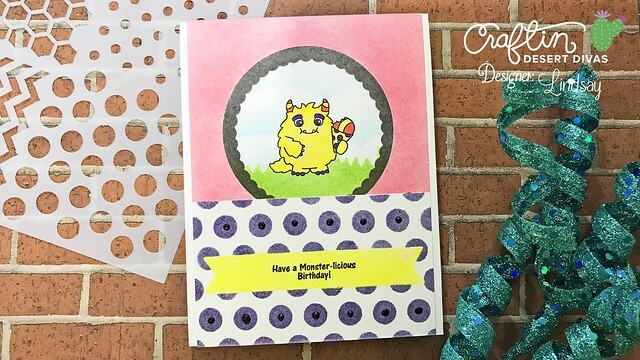 For both cards I used the Monster Carnival Stamp Set from Craftin Desert Divas. I also used the Build a Scene Stamp Set, Crazy Stitched Frame Dies, and Flag Banner Dies. On this first card the types of masking I used were - Masking Paper (but really meant to use Post-It Notes OOPS!! ), Glossy Accents, Masking Fluid, and Washi Tape. A few other supplies I used were Distress Inks for watercolor, Prismacolor Colored Pencils, waterproof black dye ink, white & orange cardstock, and Nuvo Crystal Drops in Apple Green. I wonder if you can pick out where I used each type of mask?? If not be sure and watch the video tutorial for the full run down!! For my second card, I wanted to try and create a completely "flat" one layer card with the help of masking. Again, I used the Monster Carnival Stamp Set, but I paired this one with a few different die sets and a stencil. For the dies I pulled out the Inside Scalloped Circle Dies, Stitched Scallop Dies, Outdoor Landscape 2 Dies, and Flag Banner Dies. 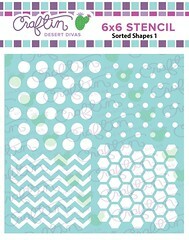 The stencil I used is the brand new Sorted Shapes Stencil!! The masking techniques and tools I used on this card included masking paper, dies, computer paper, rubber cement, and painter's tape. Be sure to watch the video above to see all the tools in action!! Thank you guys for sticking with me and if you are interested in any of the CDD products I used on my cards today, you will find them all linked below!! Happy Crafting Everyone!! Thank you for the tips Lindsay!!! I'm definitely trying rubber cement! !